Over the next few weeks everything from the sky to the shrubbery will shed its memory of winter. Until that happens, however, summer can feel far away and unreal. 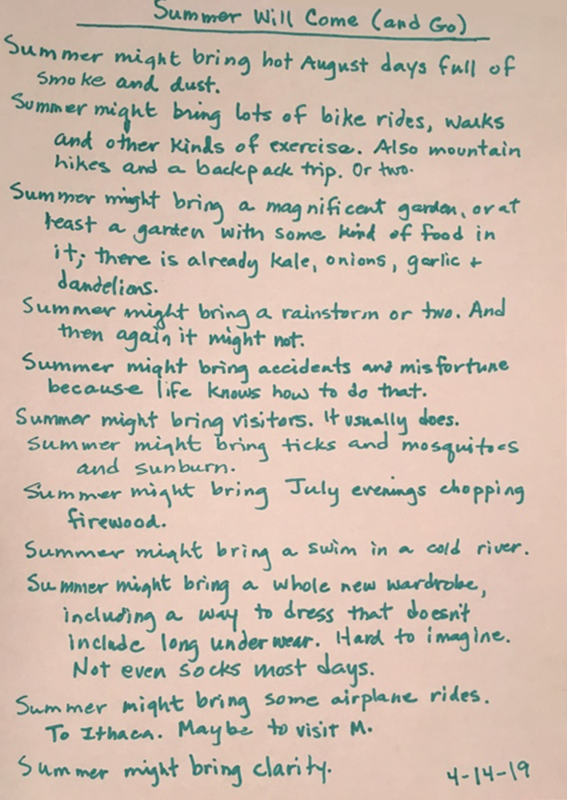 What will the summer bring? The possibilities are endless. You can write about your plans. You can write about a miracle or two that you would enjoy–or not. You can write about one thing, or write about many. 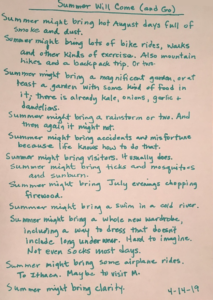 Write about anything at all, as long as you can imagine that the summer will bring it. Include some illustration on your page if you like. When you have finished, give your work a title and put the date on it somewhere as well.